Penn looks to stay undefeated in Ivy League play when they take on Brown. Coaches: Steve Donahue, 3rd season at Penn (37-38); Mike Martin, 6th season at Brown (71-92). Last meeting: Ryan Betley and Jackson Donahue each sank six three-point baskets as the Quakers rolled to a 96-72 win at Brown on Feb. 17, 2017. 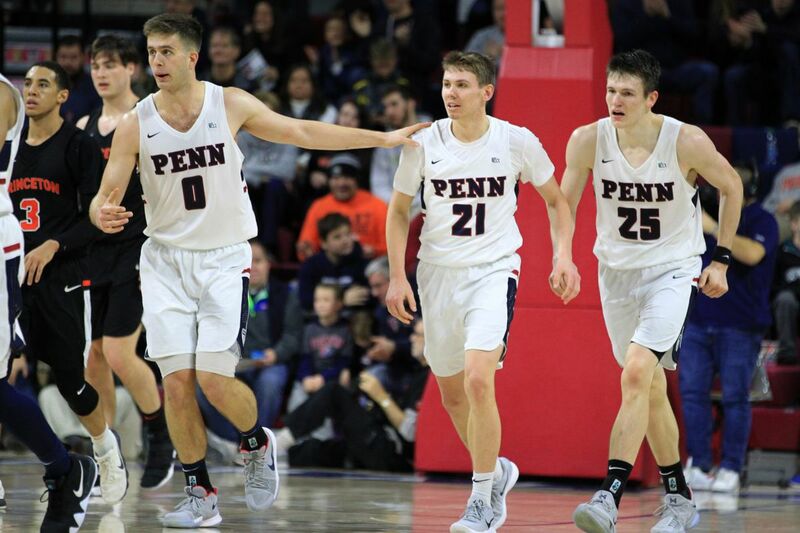 The latest: The Quakers wrapped up their non-conference schedule with a 67-56 victory over St. Joseph's, salvaging their first win in their final Big Five game. … Sophomore A.J. Brodeur leads the Ivy League in rebounding at 6.7 per game, and averages 20.0 points and 8.3 rebounds in Ivy competition. … Junior Jackson Donahue has averaged 15.3 points in four games against Brown, most of any current Penn player. … The Bears are led by sophomore guard Brandon Anderson, who is second in the league with an 18.6-point average and leads in both free throw percentage (88.5) and made free throws (7.2 per game). … Martin was a Penn assistant for six seasons before becoming Brown's head coach in 2012.